Brake parts are quite different on a Volkswagen than on many other vehicles. This is why having problems with your brakes can also be very expensive to repair. The rotor of the brakes on a Volkswagen cannot turn, which means that you need a completely new set when they wear out. On many other vehicles, you can simply replace the brake pads, which only costs a couple of pounds. The reason why these parts regularly need replacing is that the rotors on a Volkswagen are incredibly lightweight, which means that they run out very quickly as well. The thinness of the rotors is particularly susceptible to heat, which means they will often warp. Hence, they require much more frequent replacing. There have been numerous complaints about the fuel injection systems on Volkswagen vehicles. Repairing a problem with your fuel pump is always going to be expensive, regardless of the brand of vehicle you use. However, it seems that the problem is particularly common with Volkswagen, because they need the electric output released by the fuel injector to be just right. You can, therefore, only repair models that have exactly the right electric output, and this is expensive. Furthermore, you have to make sure that it actually matches the part that was issued by the factory, or your performance will go down the drain. It is the nightmare of any car owner to have a problem with the transmission. 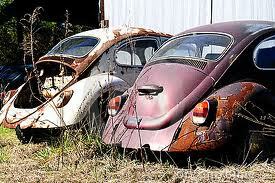 Unfortunately, these problems are quite common on this make and are one of the main reasons for scrapping Volkswagens. If your model happens to be an automatic, the repair bill will likely be even higher. Indeed, this means that it may just be cheaper to simply count your losses and buy something else with the money you were going to spend on your repairs. Unfortunately, Volkswagens are notorious for having leaks in their transmission, which means the entire system has to be replaced. 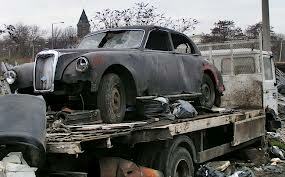 Every car has its problems and will need maintenance and repair at some point. However, when the bill for this starts to get so high that it may be cheaper to just get rid of it altogether, scrapping is generally the only viable option. Make sure you find a good car breaker to take the vehicle of your hands and perhaps even give you a little bit of money towards it, so that you don’t leave completely empty-handed.